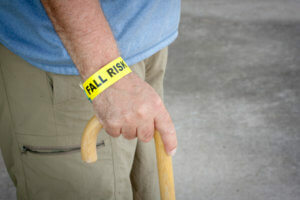 Nursing homes have a responsibility to protect all of their residents from fall hazards. Unfortunately, fall accidents still occur far too frequently at California nursing homes. Here, our dedicated San Francisco nursing home neglect lawyers explain when an assisted living facility can be held legally liable for a fall accident. Nursing homes and assisted living centers owe a duty of care to all residents/patients. These facilities must comply with certain state and federal safety requirements, including the 1987 Nursing Home Reform Act and the California Resident Bill of Rights. As elderly people are especially vulnerable, California facilities are held to heightened legal obligations. Failure to put an effective fall prevention program in place. Notably, nursing homes have a proactive duty to protect residents from falls. Many nursing home patients have pre-existing medical conditions and mobility issues that drastically increase the risk of fall accidents. Nursing home administrators must take action to protect these residents. Was Your Loved One Injured in a Fall at a California Nursing Home? We are here to help. At Bracamontes & Vlasak, our top-rated San Francisco nursing home abuse lawyers have extensive experience handling fall accidents claims. If your loved one was injured in a nursing home fall accident, please do not hesitate to contact our legal team for a free, no obligation consultation. From our office in San Francisco, we handle nursing home injury cases throughout the Bay Area, including Alameda County, Santa Clara County, and Contra Costa County.